Alex Jones and Roger Stone claim that President Trump may nominate Judge Andrew Napolitano for the upcoming vacancy on the Supreme Court. Indeed Jones claims that Napolitano is the frontrunner. The claim starts at approximately the 7:20 mark in the clip below. This contradicts the reports that Trump recently said that he would choose from the previous list of judges presented to him. I have no way to verify the accuracy of the Jones-Stone claim about the nomination. However, early on in the relevant part of the clip, Jones says that Stone is a very close friend of Napolitano. I can confirm from personal knowledge that this is accurate. The way things are going how is that more imposing than anyone else? While I seriously doubt this report, this action alone would make Trump -- who is definitely awful -- a better choice than Hillary. Can Immigrants Be Deported Without a Trial? ...deportation without a trial is profoundly unconstitutional. “Wouldn’t you call him a nationalist, pro-Americana populist”? They a much better word to describe the Judge, one that is much more endearing to me. There's video of him saying something along the lines of, "I'm not denying it" when someone called him an ancap. I believe it was at the Mises Institute. 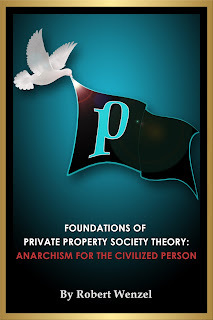 From listening to Napolitano's talks for many years, my conclusion is that he's like Ron Paul: not explicitly an anarcho-capitalist, but certainly sympathetic (in today's vernacular, "questioning"). I don't think either has fully moved from minarchist to ancap, but there are plenty of people who know these two personally, and it would be interesting to hear from them in that respect. There's no way Napolitano gets either the nomination or confirmation, although I hope I'm wrong. Sadly I agree. Presidents generally don’t want libertarians on the court because that’s not a lens of scrutiny that they want their dictates subjected to. If Trump does it, good on him, and I will give him props. But I’ll believe it when I see it. 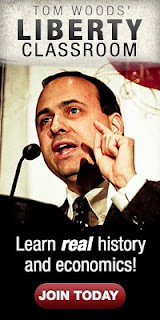 I can hear it now at the confirmation hearings: “ Judge, You were once on a “Tom Woods” show and you said you were more Libertarian than both Tom Woods and the racist Lew Rockwell, are you now willing to renounce you affiliation with the exposed (interview with a zombie) Neo-Confederate Tom Woods and Lew Rockwell??! !